SINGAPORE - Factory output enjoyed a surprise jump of 2.9 per cent in April from a year ago, helped by significant growth in both the electronics and biomedical cluster. Compared with a month ago, total output was up 4.8 per cent. The figures, released by the Economic Development Board on Thursday (May 26), blew past the 0.2 per cent year-on-year drop and 1.6 per cent month-on-month increase forecast by economists in a Bloomberg poll. The EDB also revised up March's output from a 0.5 per cent year-on-year drop to a marginal growth of 0.1 per cent. 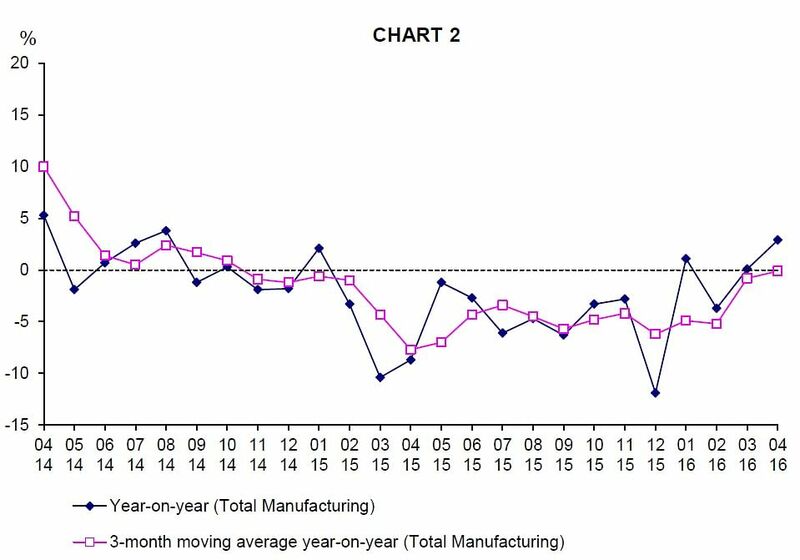 Singapore manufacturing has been mired in a slump and April was only the third month since January 2015 that factory output has registered a year on year growth. It was also the biggest year on year growth since August 2014. 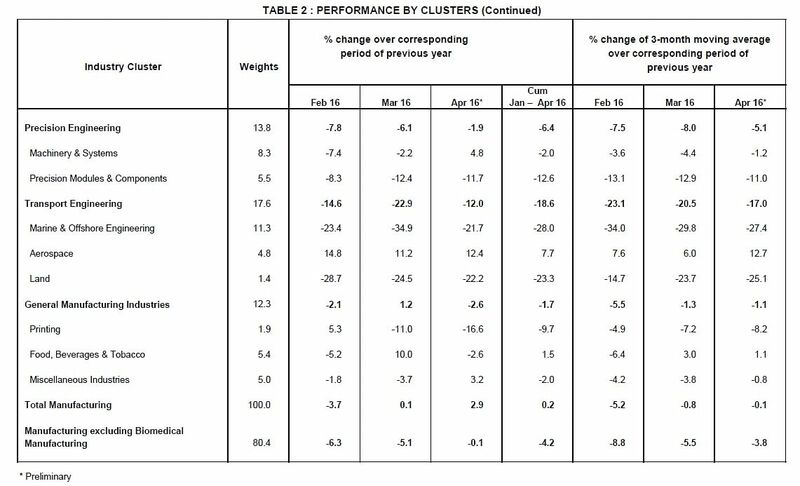 In April, the output from the biomedical cluster expanded 14.9 per cent compare with a year ago. Within the cluster, the pharmaceuticals segment grew 17.7 per cent year on year. The biomedical cluster is known for being volatile in its output, but year to date it has grown 18.6 per cent compared with the first four months last year. Electronics production also performed well, with output up 10.9 per cent year on year thanks to a 24.2 per cent increase in the semiconductor segment. The transport engineering sector however saw a 12 per cent output drop last month, as the struggling marine and offshore sector remained a drag, with output sliding 21.7 per cent. 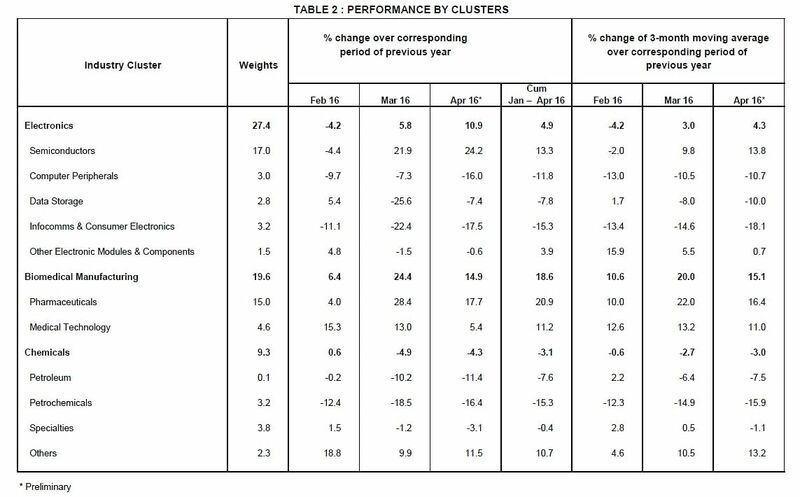 In other smaller sectors, the general manufacturing cluster reported a 2.6 per cent drop in April, while precision engineering's output declined 1.9 per cent compared with a year ago.